MANHATTAN — Kansas State Police arrested a Manhattan Christian College basketball player early Saturday morning at Haymaker Hall on the K-State campus. According to the Riley County Police Department arrest report, 21-year-old DeAngelo Bell was arrested shortly before 2:30 a.m. on charges of flee or attempt to elude officers. Other charges included burglary of a non-dwelling, theft of property or services and attempted burglary. Additional details are currently pending a complete investigation from K-State Police. Bell was lodged in the Riley County Jail on a total $35,000 bond. 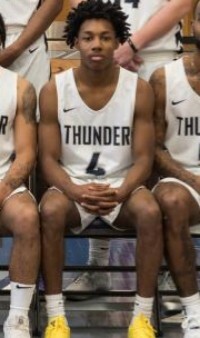 Bell is listed as a freshman guard for the MCC basketball team from Kansas City, Kansas. The post MCC student-athlete arrested on burglary, flee and elude charges appeared first on News Radio KMAN.